Samsung Galaxy A9 (2018) is just presented on Unpacked . It’s a smartphone that stands out with a quadruple camera. This camera has been the object of rumors before. Yesterday, an official render leaked . The phone will go to Poland in mid-November. Let’s take a look at the possibilities of the camera. The main camera in the Samsung Galaxy A9 (2018) has a 24 Mpix sensor with f / 1.7 aperture. Then we have a wide-angle lens (120 °) with a 8 Mpix sensor. There is also a double optical zoom that realizes a 10 Mpix telephoto lens. In turn, the depth lens lens Depth Lens allows you to determine the depth of field. As a global leader in the mobile market, we understand the need for significant innovation in a fast-growing world driven by visual communication – said DJ Koh, President and CEO of IT & Mobile Communications Division at Samsung Electronics – Throughout the Galaxy product line, we now use next-generation technology solutions, to provide even greater opportunities to a wider group of consumers. With the debut of Galaxy A9, we continue our heritage in the development of smartphones. 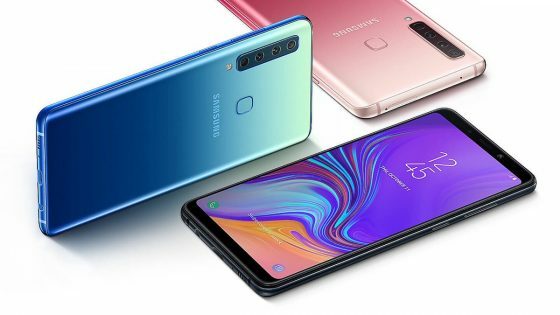 Samsung Galaxy A9 (2018) will go to Poland, but it is not known yet. We will be closer to the debut. Model A7 (2018) was valued at PLN 1599 . So in the case of a new smartphone, let’s pay PLN 2,000 or more. Technical data Galaxy A9 (2018) can be found below.